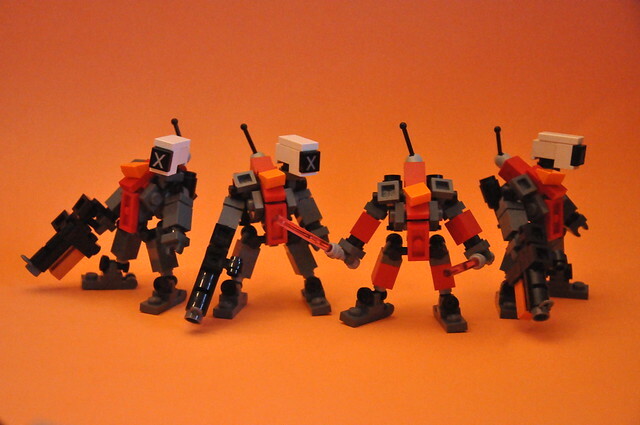 Not too long ago I threw together some frames that used the torso of a Landmate and the arms/legs of a Conscript. Hence, the "Landscript" was born. 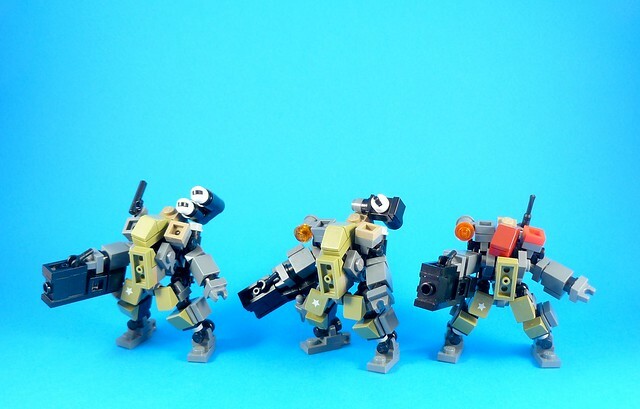 Since I put those guys together, a number of other builders have followed suit with their own Landscript builds. Good ol' Malcom Craig threw these together, meshing the Landscript build with the style of Ybliss' Force Intervention Planetaire to great effect. Dukayn took a few cues from Malcom and put together a landscript for his 133rd. 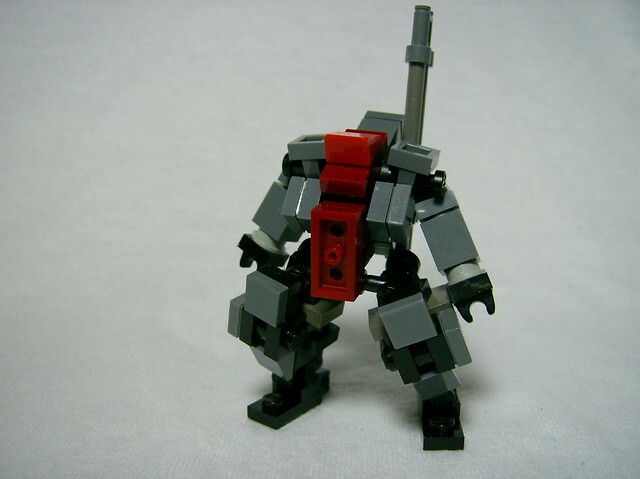 Neoaez76 then used the same template to build his own version with a cool asymmetrical torso and slick little backpack. 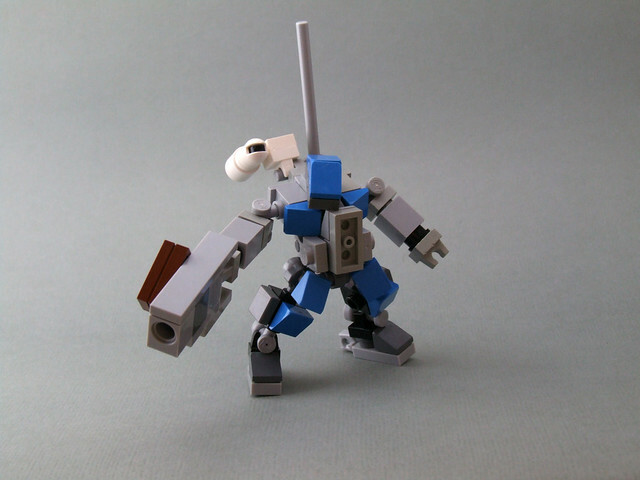 Then XGundam05 brought his personal style to the build as well with this awesome rendition. All in all I'd say the Landscript is catching on. 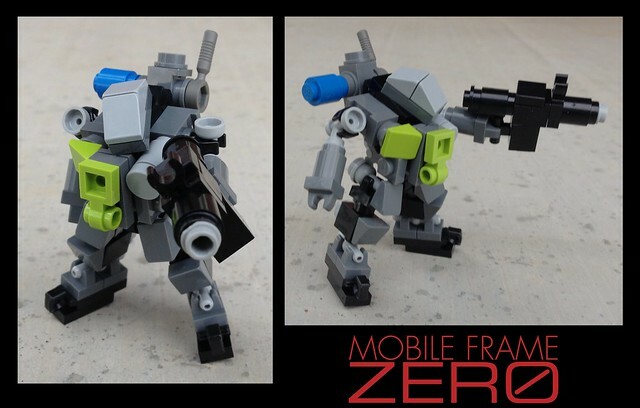 I'd love to see more people take this thing and make it their own!